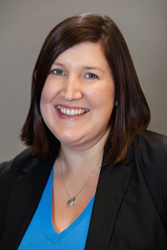 Aimee is a Partner at Sassetti LLC, and brings over 13 years of experience to the firm. She originally started her career at Deloitte, and later transitioned to corporate accounting with a large public company. She works closely with non-for-profit organizations specializing in single audits and employee benefit plans. Aimee also has experience with privately held companies specifically telecommunications. Aimee assists clients with assurance related matters including reviewing or compling financial reporting to provide a unique insight for operations refinement. Aimee graduated from the University of Illinois at Urbana-Champaign and holds a Bachelor of Science in Accountancy (Bronze Tablet) and a Master of Science in Accountancy. She is an active member of the AICPA, ILCPAS, and the ILCPA Employee Benefit Plan Committee. Aimee is active with her two kids and husband, Michael, they enjoy wandering the Chicago area and all the city has to offer. They are often on the road seeking new adventures throughout the Midwest and getting hands on with many do-it-yourself construction projects at home.